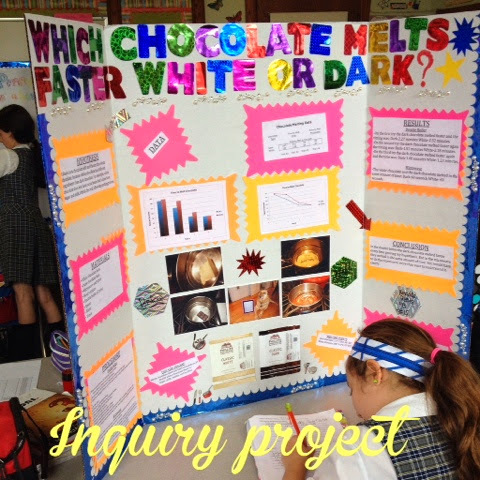 I was mentioning my inquiry projects in this post. We have been working on them since the beginning of April. I had the kids do the majority of the projects in school with the exception of the actual experiment. We are dedicating this whole class week's science periods to completing them. Next week we will present them to the class and have our science fair where parents can come view them. They are doing a such a fantastic job! 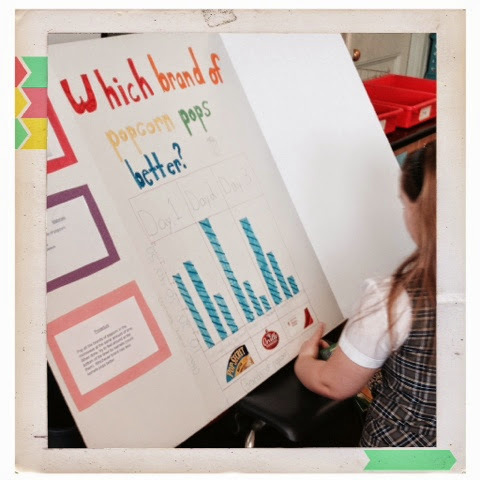 Some are working on the actual poster and some students are finishing up their research. 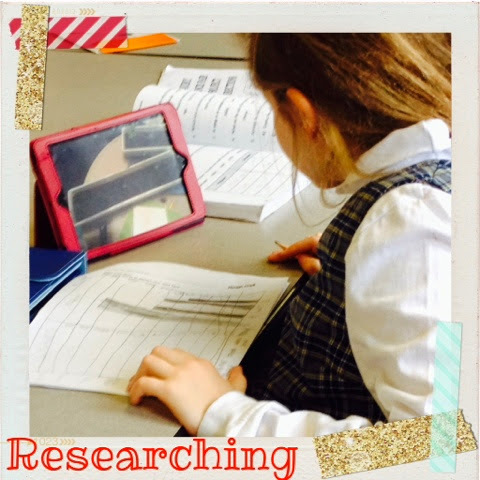 This student finished up her project during class today and is working on her oral report. I am so impressed with all of their hard work. I am one proud teacher! You'll probably be sick of me with all the science/inquiry fair posts that I will be posting from now until the fair next week. Did I mention that next week is SCIENCE WEEK?!?!?! We have a week at school dedicated to all things science. The kids are so excited (and so am I)...Yay science! I love teaching science! Your student's projects are wonderful! I can't wait to see more! Thanks Susan! I am really impressed with all of their hard work...they present them next week!